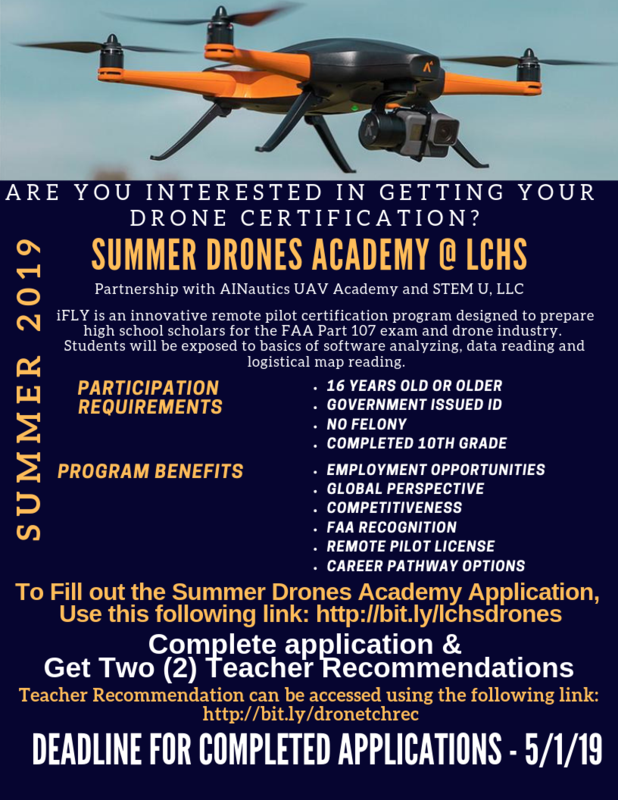 Lee County School District students have an opportunity over the summer to earn their drone-pilot-certification through the program iFLY. This innovative remote pilot certification program is designed to prepare high schoolers for the Federal Aviation Administration’s (FAA) pilot examination for an unmanned aircraft to receive their FAA remote pilot license. The program is being offered through AI Nautics UAV Academy and STEM U LLC. Students will learn the basics of software analyzing and data and logistical map reading. In order to participate, a students must be at least 16 years old and completed the 10th grade. The goal in obtaining the certification is to broaden students’ employment opportunities and their global perspective, making them more competitive, says Chris Williams, the director of partnership development for iFly. The deadline to apply for the summer 2019 is May 1, 2019.